According to the National Association of Realtors’ 2014 Home Buyer and Seller Generational Trends report, 88% of recent buyers financed their home purchase. The process of qualifying for a mortgage can be both time consuming and nerve-wracking. Lenders want to know everything about a potential borrower’s past and current finances to ensure that he or she has the cash flow to make monthly mortgage payments. Here are 5 tips to on how to reduce your debt before applying for a mortgage. 1. Review your credit report and make sure it is current and accurate. While you might not put much thought into old information on your credit report, such as an old address or a late payment from a decade ago, lenders do. Delete old addresses and contact creditors that have been paid but still show as balances due. Did you co-sign on a student loan or a relative’s credit card? Consumers are still responsible for those debts in the eyes of the lender. 3. Rid yourself of high-interest balances and improve cash flow. Credit Card debt can be a black mark on your report if your credit card debt is more than 30% of less of your credit limit. This will not only save interest but it will refurbish the card holder’s credit score and lower the debt-to-income ratio. Start budgeting money to pay down the cards with the highest interest and balances. Take steps to bandage debts and erase balances from your credit report. Offer to pay half the sum owed or in some cases offer less. Remove all unpaid bills from a credit report and receive documentation that the cases have been closed. With a plan in place by summer you could be eligible to buy a home by winter. 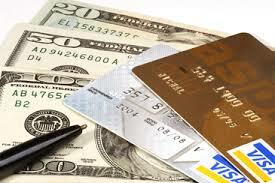 Consolidate multiple student loans or credit cards. Apply for cards with a zero or low-interest rate that allows you to transfer balances onto one card and close out multiple balances. You will have lower monthly payments and cards with zero balances which will bolster your ability to qualify for a mortgage. Avoid alternative ways to cut debt like debt settlement or credit counseling, both of which hurt your credit in the long run. So get ready, find a mortgage lender (or call me at 941-726-2227 to refer a good one to you) and get pre-qualified before you start looking for your house. Then CALL ME to help you find the perfect house to fit your budget and needs. Next Post Are you one of the 81,000 Florida homeowners missing out on mortgage savings?